Young people are surrounded by media militantly attacking biblical virtue and values. The goal of Christian education is still to “present every man perfect in Christ,” but postmodernism declares that there is no one right way to live. In the midst of this conflict, many Christian school leaders are surrendering, lowering their expectations in order to bring in more students, tolerating an atmosphere which works against the basic purpose for which the schools were founded. 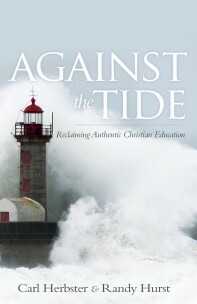 Against the Tide calls the Christian education movement back to its mission. The ideas offered in this book are thoroughly practical. The authors have effectively implemented these principles in their Christian schools. More important, these ideas are thoroughly biblical in their understanding of the role of Christian education and, in particular, of the Christian school, in helping parents to develop Christlike character in young people.